RED. This color is believed as a lucky color by Chinese people and well... my family is one of them. Even when we celebrate Chinese New Year, Birthday, or another happy events like that, my mom wants us to wear something red (Pink - still okay though). The same thing happens when I saw this dress ( Okay, I admit it! Not only because of the color, but also the design), this dress captured my eyes immediately. Really thanks to MsDressy for sponsoring me with this beauty. This dress' fabric is organza, which I rarely heard before. I searched that term on google and found that it's a sheer fabric similar to tulle but more tightly woven. However, this fabric is really soft, different from what I thought before. This fabric flows really nicely when it's ruffled. The stitching is very neat and not a single thing is out-of-place. This is the most important thing that I always pay attention to from a made-to-order dress. Why? Because it shows us the quality of the tailor crafts. MsDressy make me satisfied with this dress! I was also a bit concern of the size, since mine was a custom order. When I tried the dress on, everything fit perfectly. Because of Christmas and New Year holiday, I thought this dress would arrive late. But no! This dress arrived on schedule. MsDressy really put my concern away of ordering custom dresses online. Maybe you should try ordering too! I know you will like their dresses as much as I do. Anyway, thanks to my fiance, Fernando for patiently taking all of these beautiful pictures. You are really the best, Love! is that your room btw? I love this! You look so editorial and beautiful! Oh my god, you look stunning! AMAZING dress! Wow.. The dress is is amazing and I like that shoes too. Really so nice. Have a great day. Wow!!!!!! Amazing pics and dress!!!!! Caroline, that dress looks awesome on you! I love MsDressy! They have a wide selection and offer so many choices in size. Fabulous shoes too! ;) I love red! amazing dress and beautiful pictures!! What a truly amazing dress and GORGEOUS photos! This looks like it should be in a magazine! Just stunning. Thanks so much for stopping by my blog! I really appreciate it! WOW, absolutely stunning! The color of that dress is amazing on you and I have been lusting after those Valentino shoes for a LONG time! WOW! That's a glamorous dress! You look so beautiful. Really you have made a fine name for that dress and it is the kind of dress to deserve a name:) Lady in red is dancing with me...I'm crazy about that song. Now, something about red. It is the colour of love and lot of European nations used to get dressed in red but they forgot about it. In fact all the Indoeuropeans believed that it was the colour of love and folklore dresses prove it. We just forgot about it. Have a lovely day! When I have time I usually write longer post because it think that the standard : great outfit can be boring. Don't you think? wow love that red dress!! amazing set of photos!! you look gorgeous!! God girl, you look just amazing! I wish I could look that good in dresses :) I follow you! Wow!! You look amazing! Love the dress, clutch, esp the rock stud Vanlentinos! Holy cow girl, that dress is hot! You look great, and F did a great job capturing it. Is his bedroom?! This along with that fountain from the other week, where does he live? I think we need a house tour! Stunning! Love these pictures, absolutely stunning. Wow! You are breath-takingly beautiful. Gorgeous dress, flawless pictures! OMG, you look ravishing in red! wow the dress is so pretty and so are you! P.S red's my fav'c colour too! You looks awesome in red! I love how you wear red on important days, i always liked that tradition. and that dress was SUCH a huge wow factor. I love how dramatic it is! that is one gorgeous dress! i love the dress, the clutch and the shoes, oops i mean i love everything, lol. You're a vision in that gorgeous gown!!! such a pretty dress and a lovely photoshoot, indeed! God, the dress is more than beautiful!!!!!!! WOW! this dress is fabulous! !So gorgeous!! Wow, you look absolutely stunning in that dress! WOW stunning photos! Your fiance did an amazing job taking these photos. Do you have a special occasion to wear this amazing dress to? looking forward to your new outfit posts! You have beautiful dress!! U R BEAUTIFUL!!! Love red dresses. They're just so amazing! Ohhh… ABSOlutely stunning!! !And you’ve got a gorgeous blog too!! !HAPPY 2013 dear!!! Hi darling, I am in awe of this gorgeous red gown, it deserves a run on the red carpet, you look spectacular! of course we can follow each other! following you on GFC and waiting for you on mine's!!!!! very princessy my dear :) looks great on you! wow the dress, the pictures, you... everything looks amazing! Love this shooting ! the dress is really a dream dress ! Lovely dress and lovely photos! Such an amazing photoshoot!!! Truely amzing!!! I'm followin ur blog for ur awesum work..
my fave post of yours! So cool... so elegant... so chic!! I love your dress, look so amazing. 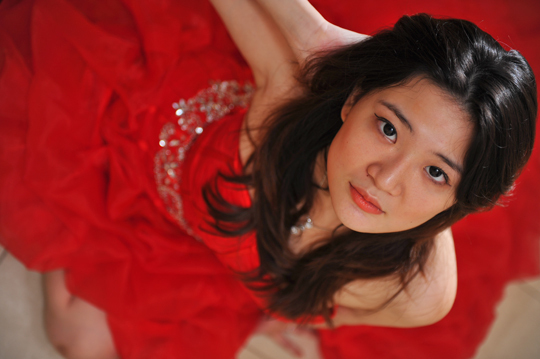 Woow!lovely dress!Women in Red!You look verry pretty! Caroline, you look fabolous in these pics! Adorable dress! You look great! you look so stunning!! one of my favorite dresses and I love the color! wow these photos are really amazing!! ooooh my goodness, these absolutely gorgeous! I love this red dress it's so dashing and each photo were so beautiful! What a beautiful dress and I love your shoes! You look amazing. The dress is gorgeous on you but my favourites are those killer heels!! You are looking great and those pictures are just perfect! I love your fantastic dress. Lets follow each other? you look stunning in that gorgeous dress! Im your new followers now, follow mine too.. Fantastic photos! The dress looks so romantic. you look beautiful! awesome pictures! These pics are absolutely astonishing! First one is so so great! I think red suits you! It brings out a sophisticated and elegant beauty. You look good in these photographs and I hope to see more photos like these. lovely dress and stunning color! That's an amazing gown, and your heels are so fierce! Pairing it with the Union-Jack-themed clutch is pretty clever, too! Wow amazing dress! And what a breathtaking photos! You look amazing!! Loved this post! Sure we can follow each other, I am following you, hope you do the same! you look really beautiful and elegant! Oh what an awesome dress!!! Yum! I'm falling in love with you dress! OMG that's an amazing dress! This dress is so stunning and suits you divinely! The dress is so wonderful. It just looks great. 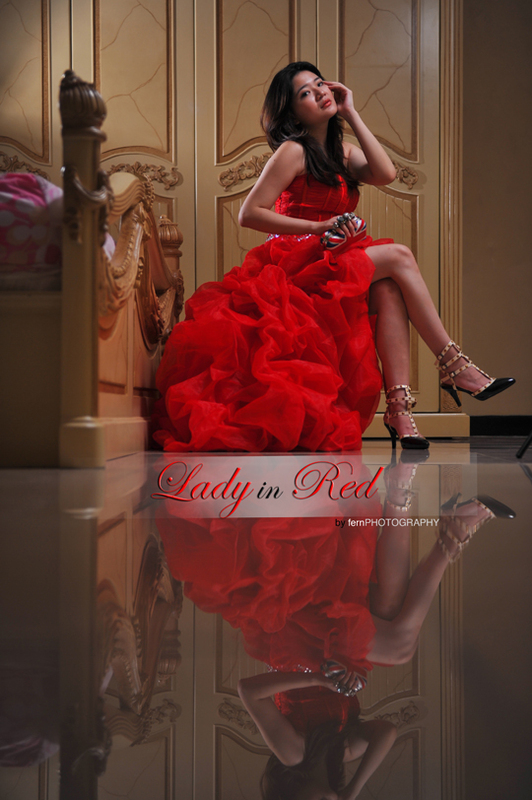 This is such a gorgeous dress, red really looks amazing on you! I love the skirt, it's so elaborate and pretty and girlish but still very elegant. Your photographs really help capture the elegant feeling, this is just too lovely! I am following you via GFC (n.478) and I hope you follow me back!